CHIREDZI - Kudakwashe Gosha, popularly known as Gosh Da Reel, is now back in Chiredzi from the Free State province of South Africa where he has been based for some time. The 'I never knew' hit maker Last week won the best gospel rapper award hosted by Salt FM in the United Kingdom. The award came with a trophy and 500 pounds in cash. The song 'I never knew', which was released in December 2017, features South African chanter, Lerato Happiness, and has earned him over 18 000 views on YouTube. The 25-year-old rapper, also known Lil Gosh, has gained international recognition over the past two years, with his songs getting favourable airplay on Soweto TV, DStv channel 251 and many others. In an interview with TellZim News, the rapper said he felt greatly honoured by the recognition he was getting from overseas and at home. "It feels great being the first Zimbabwean to win that prize from Salt FM and I ought to put more effort to keep the international standard up," he said. 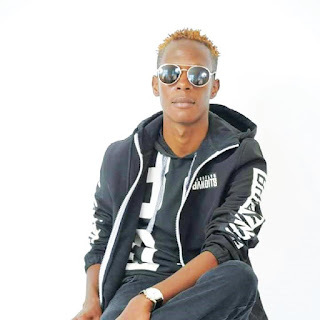 Gosh Da Reel was once given an award for being the first Zimbabwean to top the European Music Chart by his track called 'Can't stop' which features British-Nigerian artist and the 2017 Igara Awards UK finalist, Tosin Oyelakin.